Not only do all books contradict one another, they all do so adamantly! Reading more than one sleep training book can give parents the sense that they have to pick one single method, and stick with it. This makes parents feel as if there is only one right way to sleep train, and that it’s up to them to try each method one-by-one before figuring out which is the “right” one. Sleep consultants know the gamut of methods, and the advantages and disadvantages that each offers, which saves parents the mental and emotional fortitude required to read various books and decide which one may be the most effective. 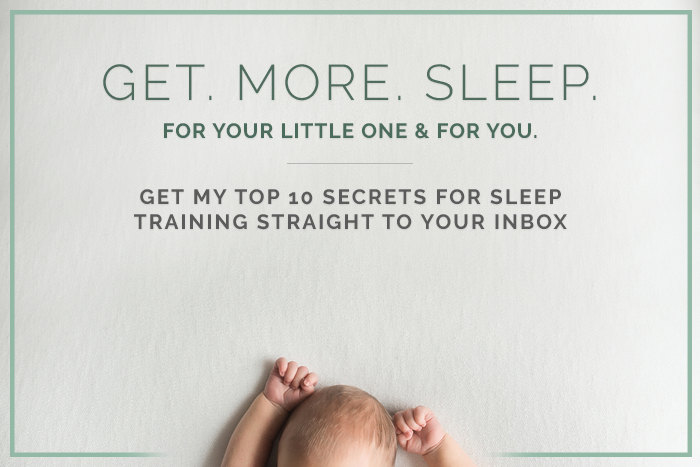 Many sleep training books base their advice on inaccurate assumptions, or assumptions based on the author’s personal life experience, instead of on personal practice with 100’s or 1000’s of babies. Just because a particular author’s life view lines up with a parent’s perspective, does not mean that their sleep training advice will be sound. Also, an author’s agenda can come through the writing and make parents feel guilty for favoring a certain sleep training approach that does not align with the practices in the book. A good sleep consultant’s agenda is to help families, and to pick whatever method will produce the best results, with the least amount of tears and drama to a family. Parent’s cannot get that from a book which includes only one single method. There is not a single parent in the world who has read a sleep training book, tried to implement the book’s method with their baby, and not found themselves with a question that was not answered in the book. What then? The beauty of working with a good sleep consultant means that a person who has worked with hundreds of children, some just like yours, has already personally experienced what your baby is doing, and knows the exact answers to your questions. Many parents read popular sleep training books, and realize that the approach in that book seems tailored to a baby with a different personality from their own baby. When working with an infant sleep consultant, that consultant can tell parents right off the bat which types of methods tend to produce which types of results – with which types of babies. Instead of repetitive trial and error, and weeks or months of crying, a parent can get a tailored plan in just a few hours, and feel confident that the method they’re using is going to be the most effective for their individual child. Regardless of how effective a method is on an individual child, sleep consultants know that in the end, they’re really training the parents, not the baby. Sleep consultants are usually hands on, working closely with parents and most importantly, they motivate parents to be consistent over however long sleep training takes. Studies show that virtually all sleep training methods work on all babies, provided that parents implement said methods consistently over as long as is needed to get results. This means that parents have to stick with a plan even when they may not be getting results right away (which might mean they picked the wrong method, likely because they didn’t work with a high-quality sleep consultant who may have picked a more effective method from the get-go). Getting through the 1-2 week process of sleep training can be tedious and a loving, ever-present consultant is what parents really need to make it through the process and end up with a happy, well-rested baby. My baby is almost 14 months old. Im a stay at home mom and have a flexible schedule for his naps depending on what time he wakes up. I normally put him to bed between 6:30-7:00 every night. He generally sleep till 6:30/6:40am and at that time I nurse him and lay him back down. Most of the time he falls back asleep till 8:30am. He takes his first nap around 3 hours after waking and generally sleep for 1h20-30m. I’ve recently been having some trouble getting him to take his second nap, he takes his second nap around 3 hours after the first. I will try for 1 hour to get him down and let him cry on and off in his crib while I come in and lay him back down. When he doesn’t take his second nap he’s up for about 5-6ish hours before bed. I’m wondering if he is getting too much sleep at night and this is why I’m having the trouble with his second nap. When he wakes around 7:00/7:30 his schedule seems to be better but most of the time he wakes up for the day at 8:30am. This has most recently become a probable and I’ve been fighting a nap battle. When he doesn’t take a second nap he wake all night, last night it was 5 times. I’m also not sure if he’s ready for a transition but I gave that a try about 1 month ago and with the 1 nap schedule he woke up throughout the night also. I just started the new 3 hour wake time nap schedule for his first nap and that seemed to be working till this last week. He seems to do best taking his second nap around 2-3 but recently with his nap schedule timing and hours he sleeps he’s not ready till around 4. At this late in the day he is more likely to refuse it all together and awake far to long before bedtime. I would love any advice you can give me. Thank you for your time.